Welcome to Prescott Smile Care. Dr. Curt Bowman & Tori Balbos, DDS, along with their experienced staff, offer the newest in technology and techniques for comprehensive oral health. We value your experience as a patient and offer a professional, friendly, and compassionate environment to receive the best of care. Dr. Bowman & Tori Balbos, DDS and the entire staff at Prescott Smile Care are committed to staying on the cutting edge of dentistry and take hours of continuing dental education each year. This training includes training in minimally invasive dentistry, cosmetic dentistry such as Lumineers and Cerac crowns, root canal therapy, implant dentistry, Invisalign and Clear Choice orthodontics, and sedation, just to name a few. The entire team has undergone practice management courses and consulting with Levine and Mercer Management Groups to maximize the effectiveness of each patient’s dental experience. Dr. Curt Bowman is an Arizona native from the small town of Roll, outside of Yuma. He has been in the dental field since 1979. He was a dental assistant in the Army from 1979 until 1984. He worked on his Bachelors of Science at the University of Alaska Anchorage while in the military and finished that degree while attending dental school at the University of Colorado. He was awarded the American Academy of Oral and Maxillofacial Radiology Award for excellence and the Quintessence Award upon graduation in 1997. He enjoys continuing to learn the newest materials and technology and implementing them in his practice. Curt has many hobbies such as fishing, hunting, camping, and riding his ATV. He enjoys spending time with his friends, and family, especially his kids and grandkids. 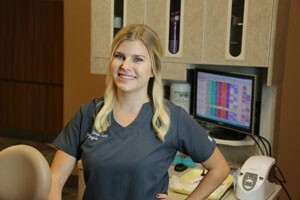 Dr. Tori Balbos started practicing dentistry with her father Dr. Curt Bowman after graduating from the University of Colorado School of Dentistry in the summer of 2013. She was the President of Delta Sigma Delta at the University of Colorado. She received her bachelors in Biochemistry at Arizona State University prior to going to dental school. She was a member of Pi Beta Phi at ASU. She continues to further her education by attending various courses. She is certified in nitrous oxide, 6-month smile, and is Cerec trained. She was raised in Prescott with her brother Mike. She married her best friend Sean and they have three beautiful children: Mia, Connor, and Averi. In her spare time, she enjoys hunting, camping, and spending time with her family. 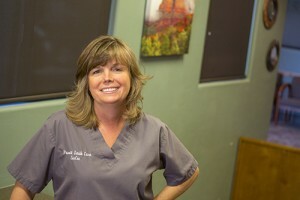 Shellie joined the Prescott Smile Care team in 1997. She has been a registered dental hygienist since 1992. She received her dental hygiene degree from the University of Alaska, Anchorage. She has her Bachelors degree in education, which she started at the University of South Carolina and finished at the University of Alaska, Anchorage. Shellie is performing administrative duties as the business manager. She has been married to Dr. Bowman since 1987. They have two adult children that live in Prescott with their spouses Tori (Sean) and Mike (Allison). In her spare time she enjoys traveling, reading, playing volleyball, and spoiling her grandchildren. 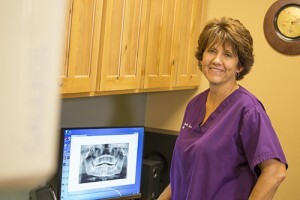 Christa has been employed with Prescott Smile Care since 2007. She was born and raised in the Prescott area. She holds a Bachelor of Science degree from Northern Arizona University. She is certified to administer local anesthesia, and is also certified in laser therapy. While attending NAU, she received several awards for her excellent work. She was the Health Profession Student of the year in 2007. She was also selected as the Dental Hygiene Student of the Year in 2007. She received a letter of accommodation from the Pearl Harbor Naval Dental Clinic in 2006. Christa was the President of Sigma Phi Alpha Dental Hygiene for 2010. Christa enjoys playing volleyball, volunteer coaching, and helping serve at her church. The best part of her day is spending time with her husband Ben and kids Ryland and Charlotte. 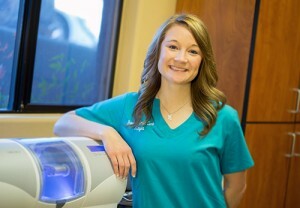 Courtney has been a registered dental hygienist since 2013. 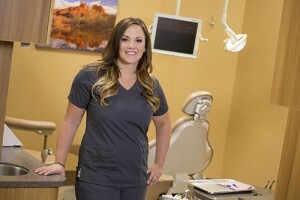 She started her career with Prescott Smile Care after graduating from Northern Arizona University with a Bachelors degree in dental hygiene. She volunteered to perform dental services in India while at NAU. She is happily married to her husband Levi. They have a beautiful and wild baby daughter who keep them very busy and entertained. They have two puppies that tend to get into a little mischief. She likes hiking, being outdoors, and spending time with her friends and family. Dusty graduated from Carrington College’s Dental Hygiene program in 2015. Her favorite part of dentistry is helping patients transform their dental health, educate them, and be a part of their success. Dusty moved to Prescott in 2015 with her fiancé Travis. They were married in 2016, and now have a son, Brayden. Dusty loves to run half marathons, and mountain bike in her free time. Angela has been a Registered Dental Hygienist since 2016 working in San Diego. 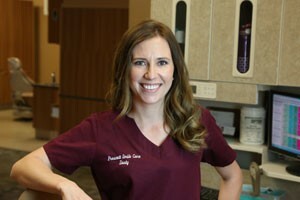 Angela moved to Prescott and joined the staff at Prescott Smile Care in January 2019. 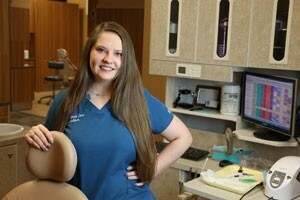 In 2011 she began working as a Registered Dental Assistant while pursuing her college education. She graduated with honors from the Dental Hygiene program at Southwestern College in San Diego. Additionally, Angela received a Bachelor of Science Degree in Dental Hygiene from Minnesota State University. 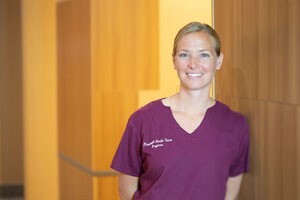 She is licensed to administer local anesthesia, and is certified in laser therapy. Outside of work, Angela loves to cook, travel, and spend time with family and friends. 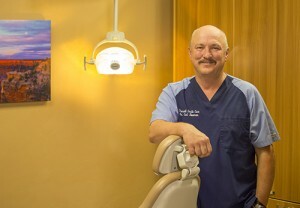 Lundon started with Prescott Smile Care in October of 2017. She was born and raised in Prescott and graduated from Prescott High School in 2011. Dr. 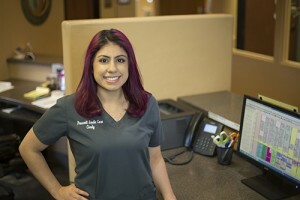 Bowman was her childhood dentist and Prescott Smile Care is where Lundon’s love for dentistry started. She graduated with honors from Northern Arizona University with a Bachelor’s degree in Dental Hygiene. While at NAU, she was an intern at the Prescott VA dental clinic. Outside of work Lundon enjoys spoiling her dog, being with family, and the outdoors. Maggie has been practicing Dental Hygiene since 2011. She is also certified to administer local anesthesia. 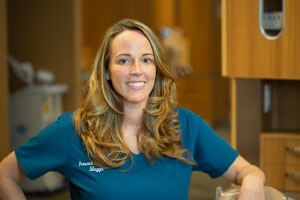 Before going to hygiene school, Maggie was a dental assistant for eight years. She is originally from the East Coast but has made Prescott her permanent home. Maggie has a beautiful daughter, Layla, who enriches her life daily, and keeps her very busy outside of work. 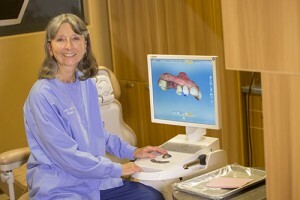 Theresa has been in the dental field for almost forty years. She has been Dr. Curt Bowman’s dental assistant since 2003. She received her training at the Bryman School. Theresa has impressive knowledge in the dental field and continues to stay up to date in the newest technology and materials. She likes to read and walk in her time away from work. Reina has been with Prescott Smile Care since October 2016. She has lived in the Prescott area for over fifteen years. One thing she enjoys about dentistry is to see how changing a patient’s smile can transform their life. Reina has a son, Ayden, who is her world. She is recently married to Adam Camacho and they have added two fur babies to their family. Outside of work, Reina enjoys hiking, playing soccer, and spending time with family and friends. Kayla has been with Prescott Smile Care since February 2016. She was born and raised in Prescott. She holds her bachelor’s degree in physical education from Western New Mexico University, where she also played volleyball. Kayla enjoys fishing, camping, and spending time with her husband Josh and their three boys, Grayson, Duke, and Owen. Bryana was raised in Prescott and has been with Prescott Smile Care since the fall of 2017. Before becoming a dental assistant, she was a stay at home mother to her two children Jaycee and Hoyt. CeeCee joined the Prescott Smile Care team in 2014. She has made a positive impact in patient relations, and is dedicated to helping patients. She has two amazing adult children that she is extremely proud of, Ashley and Michael. She enjoys camping, gardening, restoring and painting old furniture, crafting, and spending time with her family. Cindy has been in the dental field since 2012, as an insurance coordinator. She was born and raised in Prescott Valley. She graduated from Bradshaw Mountain High School in 2010. Cindy and Cody have two beautiful daughters, Aiyana, and Haizley. She likes to spend her free time with her family and friends.